This website is created and written by Karl and Jahla. In 2012 we decided that it would be a really awesome idea to travel around Australia together to seek waves, hiking trails, festivals, food, new friends and fresh experiences. With this idea planted we both started to save money and research our options. In November 2013, after almost a year of searching and extensive research, Karl scored a great deal on a our first van; a beautiful white, long wheelbase Mitsubishi Delica L400 4WD van. Click here for more about the Delica. With the major purchase of the Delica finalised, the dream was now one step closer to becoming reality. Over the next few months, a lot of time and money was invested into researching and purchasing the best value and most effective upgrades, modifications and equipment that would turn this humble 4WD van into a comfortable, fully-equipped, go-(almost)-anywhere campervan. In January 2014 we both submitted formal notice to our respective jobs that we would leave as of February. This allowed a couple of months to refine and complete the process of building up the Delica, and make it as reliable and comfortable as possible before we left in early April. The original concept of ‘Comfortably Lost’ is that we have an off road, go-almost-anywhere vehicle that will be carrying enough food, fuel and water to last a number of weeks away from civilisation if needed. Add to this a secondary battery and solar panels to power all of our devices. We also have all the comforts of home with us, including a large double bed, shower and toilet facilities and a multi-burner gas cooker. We are both free from work and any responsibilities. There was no defined timeline for our trip, we just travelled as long as our money lasted and we were enjoying ourselves. There was no rush to end our trip to return back to work. Essentially we wanted to be able to get as lost as we want and still be comfortable, safe and at our own pace. This is, in my opinion, and experience, the perfect way to travel and experience a country. We spent almost a year travelling around the southern and east coasts of Australia, including five weeks touring Tasmania. Seeing the opportunity to score cheap flights to Chile, we made the decision to drive back north to the beautiful Byron Bay region in far northern NSW where we could stay with family, work, earn some money, and make our plans for our future trip to South America. After spending a few months living, exploring local sights, and working in northern NSW, we departed to Chile in May 2015. There we purchased a Mitsubishi Montero Sport 4WD wagon and, with the help of some local friends, we converted it into a go-anywhere camper wagon. With this vehicle we continued the Comfortably Lost mission of travel, exploration and adventure around Chile and Bolivia over a period of four months. We eventually made it back to Australia in late August 2015 and had to finally face a minor crisis of the financial kind. To put it bluntly the past few years of travel and adventure, coupled with minimal income (self-inflicted due to no desire to work in a serious job) had seriously depleted our financial reserves. 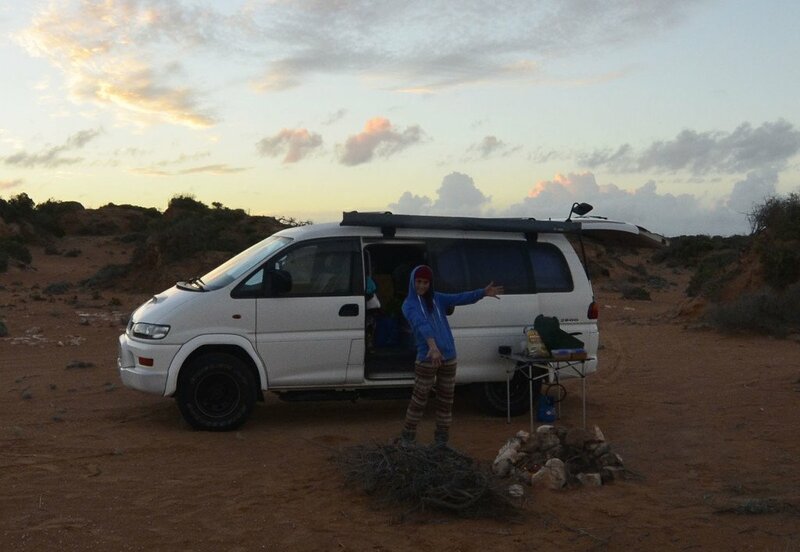 We made the decision to ‘settle down’ for the short term future, cut our vehicle expenses associated with the ownership of the Delica, buy a smaller and more economical vehicle, find some work and save money towards our next adventure(s). In late 2015 we sold the Delica to happy new owners, and purchased an excellent condition Toyota Corolla wagon after a few weeks of research and shopping around. Karl went on to design and build a light-weight, space efficient folding camper system which was a hybrid of our wood-based folding system in our Chilean Montero Sport and the aluminium-ply system in our Delica van. After almost a year living in rental apartments and only going on short trips with the camper Corolla, we decided it was high time to hit the road again and escape the absurdly expensive rent prices in Australian capital cities and the day-to-day monotony of full-time work. 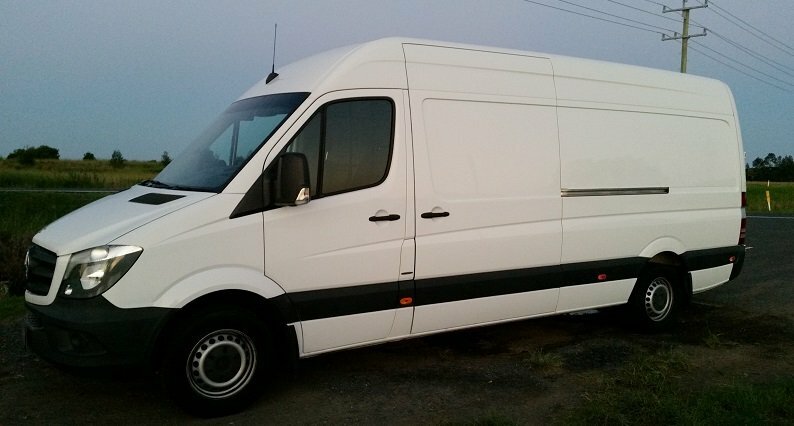 That decided, Karl found and bought an excellent condition, near new, low-mileage Mercedes-Benz Sprinter (NCV3 LWB) in early 2017. Our current mission is now planning, designing and converting the Sprinter into a basic, but comfortable, stealthy and liveable ‘studio on wheels’ that can function as a mobile home and office. The planned features include a dinette/lounge, swivel seats, kitchenette, bathroom (with DIY shower and cassette toilet), raised bed, plenty of storage nooks for food and personal items. The features for the Sprinter include a dinette/lounge, swivel seats, kitchenette, bathroom (with DIY shower and cassette toilet), raised bed, plenty of storage nooks for food and personal items, underbed bicycle storage on slider trays, grey and fresh water tanks under the floor, gas bottle box, three fan-powered roof vents, a large solar panel array on the roof, and a lithium phosphate battery bank to satisfy all our power needs as we work and travel. See our YouTube channel for a tour of our DIY Sprinter van conversion! We are also in the process of saving, planning and researching for our next major adventures: Europe and UK road trip 2018, and then North America road trip 2019! We’ve resolved to capture and share our experiences over a variety of platforms and media with this build. So please bookmark this site, and also look us up on Instagram and Facebook to stay up to date and see what we’re up to! We have recently launched a YouTube channel with tours of our van and information about the setup. Check it out and drop a comment if you would like to found out more about our van or travels.